Though Batgirl has appeared in many incarnations, the most famous is Barbara Gordon, daughter of Gotham City's top cop Commissioner Gordon and a confident woman dedicated to the pursuit of justice. When her father forbids her from joining the police, Barbara is inspired to join the Batman family of Superheroes and becomes an extraordinary fighter and detective - Batgirl! 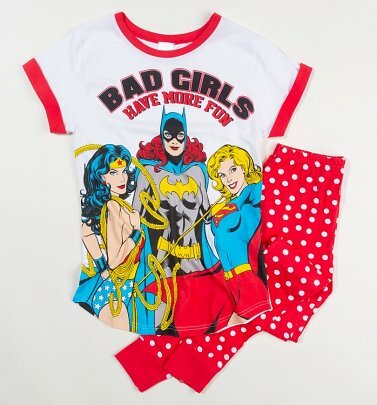 Take a leaf out of the Dominoed Daredoll's super-fearless and stylish book with our official Batgirl clothing.